Medicine is becoming increasingly complex. Medical research has become a mechanism-based science involving better understanding of pathophysiology, and modelling vast amounts of data. A deeper knowledge of skin functions and development of more efficient diagnostic tests will help us fine-tune solutions that prevent skin conditions and diseases. New technologies are revolutionizing our understanding of skin and skin diseases at the molecular level, and paving the way to personalized healthcare. There’s a clear opportunity for us to develop new products for the skin health needs of the growing aging population. New imaging technologies allow qualitative and quantitative assessment of the effects of the potential drugs in tissues and cells. They also help us find appropriate formulations for application in humans. 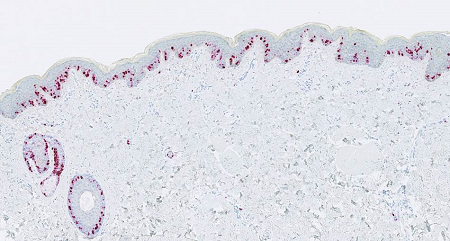 Immunohistochemical (IHC) detection of cell constituents and tissue proteins is important as it allows us to understand the physiopathology of skin diseases. 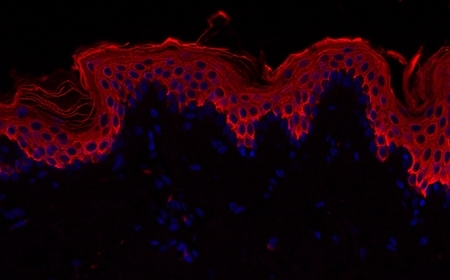 IHC detection in fluorescence under microscope is usually used for proteins, and a more complex detection using a multispectral microscope platform can be used for other cell constituents. 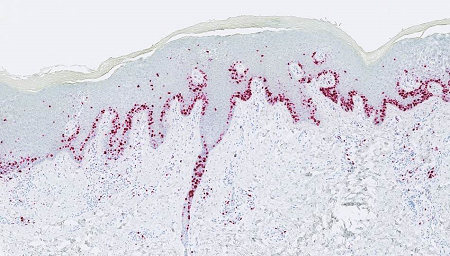 Ki67 Immunohistochemical (IHC) detection on patient with atopic dermatitis. Ki67 biomarkers are tightly associated with cell multiplication. The multispectral platform is key to strengthening our hypotheses when selecting drug targets. 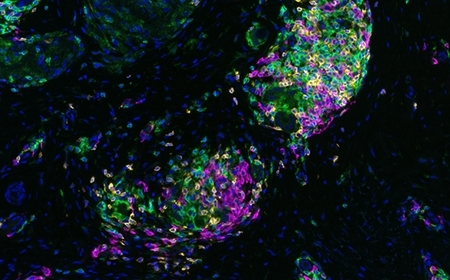 It enables the study of tissue sections by labelling biomarkers with fluorescent stains, and provides high-resolution images rapidly.